If you have an interest in the ongoing saga around overfishing in Europe, then this is the time of year when the hammer strikes the anvil. Throughout November and December, the ink on one fisheries negotiation barely has time to dry before the next agreement is being bashed out behind closed doors. Next Monday, fisheries Ministers will once again gather in Brussels for the biggest deal of them all, the setting of fishing limits for stocks in Europe’s North East Atlantic and North Sea for 2019. 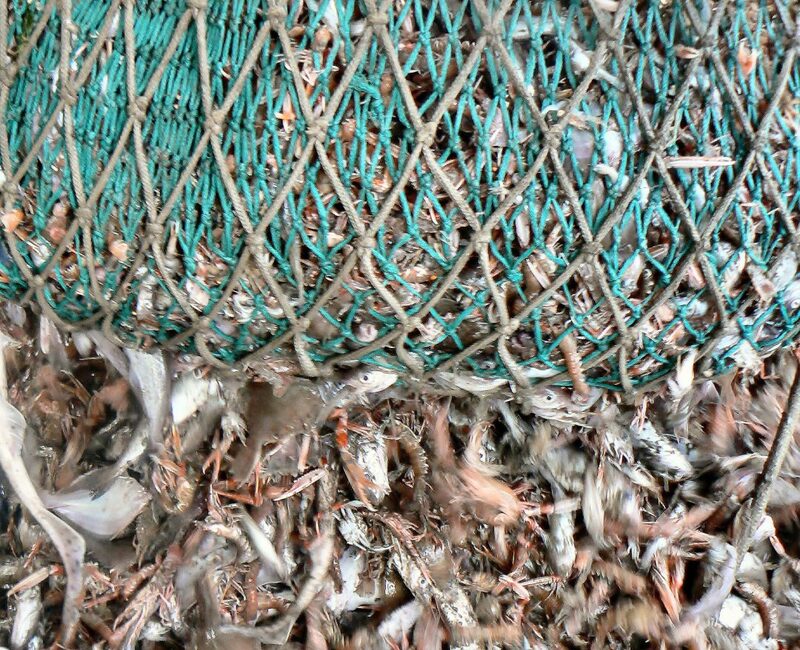 Every year scientific advice on sustainable fishing limits are put through this political meat grinder and come out the other end unrecognisable. This process has hindered the implementation of the EU’s Common Fisheries Policy (CFP) and its goal to end overfishing by 2015, where possible, and by the very latest by 2020. The lack of transparency around fisheries negotiations makes its hard to hold politicians to account. Although, we can’t hear the arguments they make we can see their ultimate decisions. Following last year’s negotiations, for example, 44 per cent of fishing limits were set exceeding scientific advice. This was an improvement on 2016 when 57 per cent were set exceeding advice, but nowhere near the kind of progress EU citizens demanded when the CFP was reformed in 2014. With the final legal deadline to end overfishing just two December Councils away, we need a sea-change in the Irish Government’s approach going into these negotiations. Based on their track record, however, it’s hard to feel optimistic. The fish stocks that Ireland has a majority share in are some of the most overfished in the North Atlantic. Between 2001 and 2017, Ireland managed to wrangle 703,127 tonnes of fishing quota above scientific advice. When it comes to the percentage of fishing limits set above scientific advice, we are consistently the worst offender. Ireland’s approach to fisheries management means that if you overfish a stock you will make more money in the short term. However, in the long term game, this approach means that we will ultimately drag our fisheries under as stocks dwindle. In fact, the economic benefits of rebuilding EU fish stocks in line with the objectives of the CFP could provide Ireland with an additional 200,000 tonnes of fish landings annually (relative to the 2012 to 2014 period). This would generate an additional €270 million in earnings, potentially supporting 2,200 new jobs. Clearly, overfishing doesn’t really make sense on any level. However, while it may be official Government policy to end overfishing by 2020, it seems to be unofficial Government policy to continue along a business-as-usual scenario. Ending overfishing means following the scientific advice and that can also sometimes mean that we have to reduce fishing when stocks are under stress. Yet, this appears to be something that Ireland still is reluctant to accept. Where the science has signalled that lower quotas are needed – such as for stocks like Dublin Bay Prawn, Mackerel, Celtic Sea Herring and Haddock – the Government has argued that they won’t accept the science because of the economic implications of quota reductions. The negative outlook for these stocks ironically is the result of past mismanagement, mainly the failure of decision-makers to implement scientific advice during previous negotiations. Yet, where the science proposes an increase in fishing quota for 2019 – such as for Hake, Cod, Haddock and Plaice – the positive economic benefits have been welcomed. Ironically, the positive outlook for these stocks is down to a reduction in fishing pressure over recent years, again demonstrating the benefits of implementing the CFP. The science seems to be subjective when it threatens short-term profit and supported when it doesn’t. Despite our track record, there is still some hope that progress will be made during next week’s negotiations, with the EU Commission under pressure to meet the 2020 deadline to end overfishing. The EU Commissioner for Fisheries, Karmenu Vella, is in the last year of his term and will likely look to leave a positive mark on this year’s negotiations. At a time when global seabird populations have declined by 70 per cent and fish species like Angelshark and the European Eel are critically endangered, our government cannot continue to be part of the problem. Next Monday, Minister Creed can not only do what’s right but also what makes sense. Fintan heads up Birdwatch Ireland’s marine policy work on the implementation of the European Union’s Common Fisheries Policy reforms and the issue of overfishing.